If you love luxury, a Tiffany ankle bracelet might be for you. While Tiffany & Company does not currently sell ankle bracelets, you can find items inspired by Tiffany designs at a variety of online jewelry retailers. Anklets are a great way to express your personal style. For centuries, women and girls in the Arab world have worn ankle bracelets as jewelry. In the middle of the twentieth century, as hemlines began to rise and women often wore high-heeled pumps, ankle bracelets became a way to show off the feet and legs. Styles ranged from formal anklets made of precious metals to more casual examples featuring stone beads, leather, shells, and other natural materials. Ankle bracelets remained popular, and today, you can find these jewelry items just about anywhere. One of the most iconic Tiffany designs is the heavy charm bracelet. Often made of sterling silver or solid gold, these bracelets feature chains with large links. Charms, which can range in price from under $100 to well over $10,000, can be attached to the links of the bracelet. Tiffany bracelets are sometimes worn with a single charm. 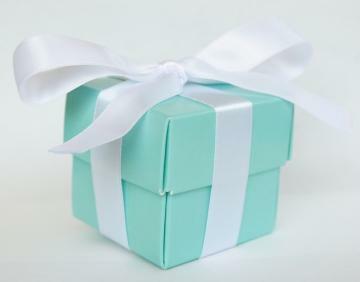 Generally, authentic Tiffany bracelets range from 6.75 inches to 7.5 inches long, making them impractical as an ankle bracelet. However, you could still choose to buy a quality ankle bracelet from another manufacturer and attach authentic Tiffany charms for decoration. Because Tiffany bracelets are a simple and iconic style statement, many manufacturers have created imitation versions that will fit your ankle. Typically, these imitation Tiffany ankle bracelet designs feature a simple chain with a single charm. You can find charms to fit any personality. Options include items like palm trees, hearts, dragonflies, and other pretty images. You can also order a custom-made ankle bracelet from a local jeweler. While custom jewelry can be a little more expensive than stock items, it is a great way to get exactly what you want. Check out your return options. Can you return your ankle bracelet if you don't like it? Does it have to be defective to qualify for a refund? When you buy jewelry online, you don't get to hold it or try it on first. Make sure you have the ability to change your mind about your purchase. Consider your choice of metal. If you'll be wearing this for years, invest in a high-quality sterling silver or gold version. If you plan to wear your ankle bracelet once in a while, silver-plated may be a more cost effective option. Shop around. Because so many jewelry retailers are offering lovely Tiffany-inspired ankle bracelets, you can find the perfect item at the perfect price. Look for something you love!